It’s not always easy to power through big projects. The next time you’re in the middle of a grueling task — like your morning workout or that weekend DIY job — try this little hack to help carry you on: smiling. One TED speaker believes there’s power in a simple smile. He discovered the difference it could make when he was midway through a tough run. And guess what? Your dentist in Manahawkin agrees that smiles are more important than most people may think. It unleashes a whole floodgate of endorphins, reducing stress and just making you feel better in general. But what if you’re less than proud of the way your smile looks? You may a little less willing to flash your (not so) pearly whites when the going gets rough. If you are reluctant to smile due to your imperfect teeth, we’ve got some good news for you. Services in cosmetic dentistry are more affordable and accessible than ever before. In fact, several of your friends and colleagues may be subtly improving their smiles by visiting their cosmetic dentists on the sly. Are you interested in unleashing your most dazzling smile? Or maybe you just want to make a few little adjustments to help your grin really sparkle. Either way, most services are super customizable to help you get just the look you’re going for. For a significant smile transformation, porcelain veneers fit the bill. They are thin coverings made of sturdy dental porcelain, and they can be customized to reflect the size, shape, and color that suits your facial structure best. 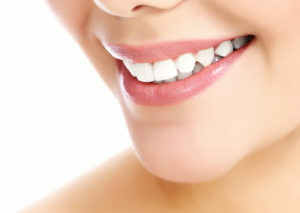 Porcelain veneers are placed on the front side of the teeth that show when you smile. Completed over the course of two visits to the dentist, veneers can last for many years with proper maintenance. They are also more resistant to stains than your natural tooth enamel, so you won’t have to worry about veneers getting dark or dingy over time. Most adults are eligible candidates for porcelain veneers. Because they do require the alteration of your tooth enamel, you will always need something covering up your teeth once you have had veneers. Professional teeth whitening busts through stains on the surface of and just below the tooth enamel. Most extrinsic and intrinsic stains do not stand a chance against Zoom! Teeth Whitening, which reveals teeth up to eight shades brighter in a single visit to your dentist’s office. Zoom! Whitening erases stains caused by food, wine, tobacco, even medications like tetracycline. Patients who prefer to whiten at their own pace can benefit from a take-home kit instead. Customized trays are filled with a high-powered bleaching gel that erases stains to reveal a sparkling white smile. If you’re even the least bit interested in improving your smile with cosmetic dentistry, you owe it to yourself to find out about porcelain veneers or teeth whitening can help! Dr. Robert Young is an expert cosmetic dentist serving Manahawkin. To learn more about professional teeth whitening, veneers, or any other treatment, you are invited to contact Young Dentistry at 609-597-1830.